Are you wondering how Careerforce assesses qualifications for pay equity purposes? Let us explain the process, so you know you’re in good hands once you send in your qualification equivalency query. So first, a person will make a query on our website. They’ll give us information, their contact details, the qualification title and the level that the qualification is at. From that we will check whether the qualification is from an NZQA-accredited provider or developer, we will check the level and that all the information is correct and credit value of the qualification that the person has queried. 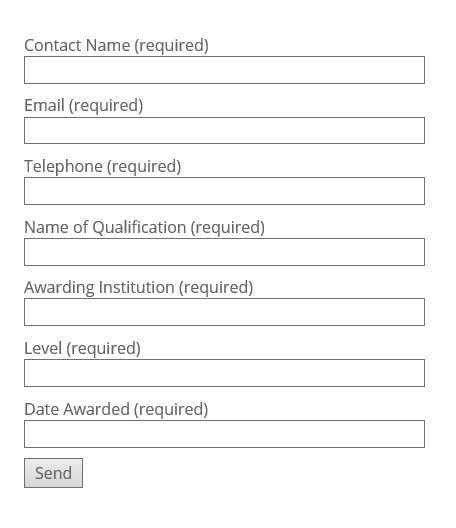 So, sometimes they might not have exactly the right qualification title as some are quite similar, so we might go back to the person that queried it asking for more information or we might ask the provider for more information about the learning or graduate outcomes. So once we have everything we need, we can start the assessment. What we do is look at the graduate outcomes or learning outcomes of the qualification that’s been queried against the graduate outcomes of a New Zealand Certificate in Health and Wellbeing. We look at how much they match and if they sufficiently match, if there is enough similarities between the graduate outcomes of each of the qualifications, then we assess that as equivalent for pay equity purposes. That doesn’t mean the original qualification changes to the new qualification from NZ Health and Wellbeing, it just means they are equivalent for pay equity purposes. If the graduate outcomes don’t match then the assessment is not equivalent for pay equity purposes. Once we have our assessment then we do a peer review within our qualification equivalency team. And then we have another approval step before we let employers know about the assessment. And then we publish it to the Careerforce website and notify the person who sent in that query.